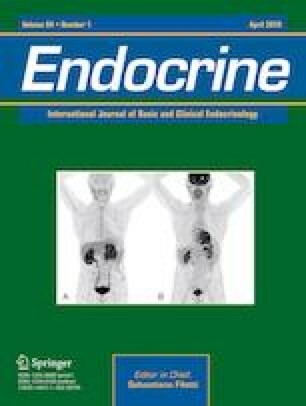 To compare the value of Thyroid Imaging Reporting and Data Systems proposed by Kwak (KWAK-TIRADS) and ACR (ACR TI-RADS) and 2015 American Thyroid Association (ATA) guidelines in the diagnosis of surgically resected thyroid nodules. From January 2015 to December 2015, 2544 thyroid nodules in 1758 patients who underwent thyroidectomy at our center were included. The KWAK-TIRADS category, ACR TI-RADS and ultrasound (US) pattern based on ATA guidelines were assigned to each thyroid nodule. Nodules were divided into groups according to their maximal diameter further. Of all the nodules, 863 (33.9%) were benign, whereas 1681 (66.1%) were malignant. The malignancy percentage of ACR TI-RADS category 1, 2, 3, 4, and 5 were 0%, 1.3%, 9.1%, 52.5%, and 88.8%, respectively. KWAK-TIRADS and ATA guidelines showed a better diagnostic efficiency than ACR TI-RADS (P < 0.01). ACR TI-RADS demonstrated a higher specificity (79.7%, P < 0.05), whereas the ATA US pattern had a higher sensitivity (95.5%, P < 0.01). The TIRADS (KWAK-TIRADS and ACR TI-RADS) category and ATA guidelines performed better in differentiating nodules >1 cm. KWAK-TIRADS showed better diagnostic efficiency than the other methods in differentiating nodules >1 cm (AUC: 0.92, P < 0.01). KWAK-TIRADS and ATA guidelines provide a better diagnostic efficiency than ACR TI-RADS. The TIRADS (KWAK-TIRADS and ACR TI-RADS) category and ATA guidelines perform better in differentiating nodules >1 cm than nodules ≤1 cm. KWAK-TIRADS perform better in differentiating nodules >1 cm than other methods. The online version of this article ( https://doi.org/10.1007/s12020-019-01843-x) contains supplementary material, which is available to authorized users. This study was supported by a grant from the National International Science and Technology Cooperation Project (2015DFA 30440). L.G. and X.X. participated in the study design, performed the statistical analysis, and drafted the manuscript. Y.J. conceived of the study, participated in its design. X.Y., Y.W., S.Z., R.Z., X.L., and X.Z. carried out the selection and collection of samples. B.Z. participated in the study design, performed the statistical analysis, and review the manuscript. All authors read and approved the final manuscript. All procedures performed in studies involving human participants were in accordance with the ethical standards of the institutional research committee and with the 1964 Helsinki declaration and its later amendments or comparable ethical standards, and the requirement for informed consent was waived for this retrospective study.